The National Turf Writers and Broadcasters will honor Art Sherman, who saddled California Chrome to become the oldest trainer to win the Kentucky Derby, innovative owner Cot Campbell, trailblazing broadcaster Charlsie Cantey and accomplished sportswriter Tom LaMarra at its 55th annual awards dinner on Oct. 29 in Arcadia, Calif. The group announced their annual award winners in a press release. Sherman will receive the Mr. Fitz Award, named for the legendary trainer “Sunny” Jim Fitzsimmons. Sherman first experienced the Kentucky Derby when he shared a boxcar with Swaps, the 1955 winner, from Los Angeles to Louisville. Note – Kentucky Derby Tours lead the way back to California by train for Swaps train car as the owner Rex Ellsworth traveled with us to the 1955 Kentucky Derby (see article “on Derby Rail” under Press Coverage on our website). He returned to Churchill Downs this year – at age 77 — to win the Derby and the Preakness. Sherman handled a pressure-packed situation with class and grace during a Triple Crown bid that fell short when California Chrome dead-heated for fourth in the Belmont Stakes. He has received countless awards this year but seems t o enjoy each of them. Campbell will be presented with the Joe Palmer Award for meritorious service to racing. Palmer was an esteemed turf writer at the New York Herald Tribune. Campbell was at the forefront in introducing racehorse partnerships when he founded Dogwood Stable in 1973 and made the normally high cost of ownership accessible to many more fans. He was recognized for a lifetime of special achievement with an Eclipse Award of Merit in 2013. The second annual Jim McKay Award, for broadcasting excellence, goes to Cantey. The former exercise rider for Ruffian ranks as one of the most influential racing broadcasters of all time, having worked for ABC (1986-2000), CBS (1977-86), ESPN (1985-2002) and NBC (2000-05), among other outlets. She was regularly credited for making the sport easily understood by fans at all levels of interest. LaMarra, will accept the Walter Haight Award, named for the former Washington Post turf writer and columnist, for excellence in turf writing. LaMarra has been a turf writer since 1993, working for the Daily Racing Form and Thoroughbred Times before joining The Blood-Horse in 1998, where he is news editor. He is regarded as one of the sport’s most knowledgeable writers. 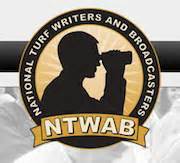 Award winners were selected by members of the National Turf Writers and Broadcasters. The dinner will be held at The Derby Restaurant, near Santa Anita Park, site of the Breeders’ Cup World Championships. The Derby Restaurant will be the place to be this fall with the Breeders’ Cup and the new ‘Thoroughbred Racing Walk of Champions’ (more about this exciting exhibit in future posts).